Safety 1st Home Inspection uses only professional grade, properly calibrated, continuous radon monitors to accurately measure the radon levels in your home. If you are considering a home to purchase, call us to schedule a radon test before you buy. Althought the seller isn't obligated, with the help of your real estate professional may be able to get the seller to reduce the sale price or install a radon mitigation system. Schedule your test today! From buying a home with dangerous levels of radon. Money off the purchase price of a home. From worrying about buying the right home. The headaches of trying to deal with radon mitigation. The confusion of trying to check radon levels on your own. Radon, a byproduct of decaying uranium, can be problematic for you and your entire family. While the gas normally disperses with no problems, when someone builds a home on top of a patch of ground, it essentially creates a trap for these gases. Without an effective ventilation system, radon can be absorbed by the body. If you want to protect your family from the dangers of this radioactive gas, you need to make sure that the home you live in now is free of it, and then any home you want to buy in the future is protected as well. Contact Safety 1st Home Inspections in Knoxville for a thorough radon inspection. We use the highest-quality professional radon monitors in order to capture the most accurate results. When dealing with radon, it is important to be as accurate as possible. 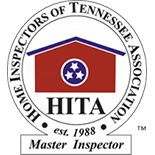 Our certified home inspector is also available for mold inspections, well water testing, sewer testing, and a number of other inspections. We will always go the extra mile to find everything wrong (and right!) about any property. Whether you are a buyer or a seller, we can help make you aware of things that can save you money or help you sell your home faster. Radon is a cancer-causing, radioactive gas that is emitted as uranium decays. As most rocks contain traces of uranium, this gas is present in the soil virtually everywhere on Earth. Like uranium, radon decays, too. If it does this in your lungs, the alpha particles it releases can harm the DNA in your cells. “When we talk about radon risk, we really mean the risk from radon and its decay products,” said Phillip Price, a physicist at Lawrence Berkeley National Laboratory. If enough of your DNA is damaged, the mutations pile up and you can be dealing with a host of health problems, including lung cancer. Radon is everywhere, but it doesn’t usually pose much of a risk because it disperses into the open air. “What’s unnatural are the radon levels that accumulate indoors,” says James McLaughlin, president of the European Radon Association. For our clients who are buying a home, we offer peace of mind that your home is safe from a dangerously elevated level of radon gas, as well as potentially saving them nearly $1,200, which is the average cost of having a radon mitigation system installed. When faced with the problem of elevated radon levels, the seller may pay to have a radon mitigation system installed. Finding out during the inspection contingency period is key. Once you have purchased the home, that responsibility is all yours. Safety 1st Home Inspection only uses professional-quality continuous radon monitors that are calibrated annually. Contact us today to learn more about Radon testing and why it is so important if you are buying a home in Knoxville.